Hazard: The water heater’s combustion chamber can be misaligned and heat the exterior walls of the water heater instead of the water. Combustible material near the outside of the water heater can catch fire, posing fire and burn hazards. Consumers should immediately turn off and stop using the recalled water heaters and contact A.O. Smith for a free inspection and free replacement of misaligned water heaters. Consumer Contact: A.O. Smith toll free at (866) 880-4661 between 8 a.m. and 4:30 p.m. 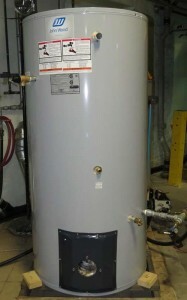 ET Monday through Friday, or online at www.johnwoodwaterheaters.com and click on Recall Notices for more information. 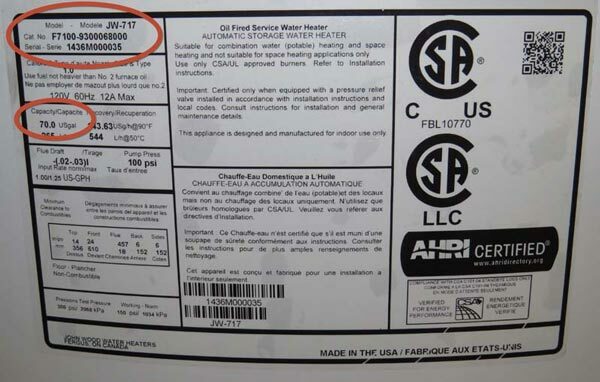 Description: This recall involves John Wood brand 50 and 70 gallon oil-fired water heaters. The 50 gallon water heaters have model number JW517 and serial numbers from 1349A021678 through 1503A016643. The 70 gallon water heaters have model number JW717 and serial numbers from 1421M001517 through 436M000040. The water heaters are gray with “John Wood” printed in blue and white near the top. The model number, size and serial numbers are printed on the rating plate near the top of the tank. Only oil-fired water heaters are included in this recall. Sold at: John Wood sales representatives to plumbers and consumers from January 2014 through March 2015 for about $1,500 to $2,500. Manufacturer: A.O. Smith Corp., of Milwaukee, Wis.
Next: What is the appropriate height for a gas water heater?